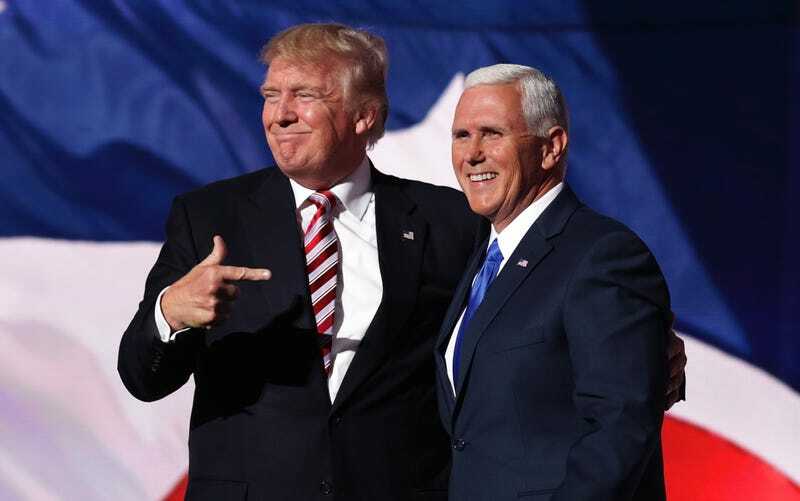 Vice President Mike Pence, leader of America’s push for a space force, believes that God is calling him to be president. That’s right, the resident space cadet in the Oval Office not named Trump believes that God is “calling him” to “function as a president-in-waiting,” according to Michael D’Antonio, a CNN contributor and biographer of The Truth About Trump. “Absolutely everything Mike Pence does is oriented toward him becoming president,” D’Antonio said on CNN on Tuesday. The writer was there to promote his new book, The Shadow President: The Truth About Mike Pence, The Hill reports. CNN notes that Pence didn’t participate with D’Antonio in the writing of the book, nor verify any of the claims made in the book. D’Antonio even believes that the vice president is maneuvering to get the top spot. “I think he’s positioning himself to be the normal guy—the guy you can trust,” D’Antonio continued, adding that though the vice president has been seen in recent weeks around the country promoting the president’s agenda, Pence is “really promoting the development of his own network. God did not return The Root’s request for comment but a spokesperson for God did note that they don’t really kick it with Pence like that.